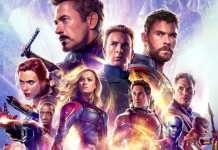 Home Entertainment Avengers End Game Trailer-How did Ant-Man Escape the Quantum Realm? Avengers End Game Trailer-How did Ant-Man Escape the Quantum Realm? The Avengers End Game Trailer is finally out. You can check out the Avengers 4 Trailer Breakdown for the details. Out of many questions, the main question that it arose was How did Ant-Man escape the Quantum Realm? Well, let’s look into the matter and give some theories or possibilities about the same. The end scene of the Avengers End Game Trailer showed Scott Lang with Luis’ Van. He was standing at the front door of the Avengers Headquarters. Yes, it is the same van which has the mini Quantum Realm Machine. This scene brought up the question that How did Ant-Man Escape the Quantum Realm? What or Who helped him to get himself out of there. Well, let’s check out some strong possibilities for the same to happen. How did Ant-Man Escape the Quantum Realm? Well, this will be the first guess of anyone who is following the rumours and all the Avengers 4 related stuff. If you remember, Janet van Dyne asked Scott to stay away from the time vortex and not to get sucked in it. Well, maybe it is the only way for him to get out of there which he realized. Unlike Doctor Strange’s time loop with Dormammu, time vortex suggests different timelines and a number of attempts by Scott to make things right. But this is one of the loose possibilities as we can’t say anything about what happens after getting sucked in the time vortex. Did Anyone Help Ant-Man to Escape Quantum Realm? There are many possible characters that may have helped Scott Lang in the Quantum Realm to get out from there. First up is Doctor Strange. There may be some existence of his in some alternate reality which Scott accessed. Dr Strange may have told him or guided him according to the 1 possibility out of those 14 million possibilities. Hence, Scott Lang was able to get out of the Quantum Realm. Another possibility is the help by Janet van Dyne. If you remember, she was able to talk or show things to Scott by telepathy. Maybe this time, even though she’s dead, she can talk to him through telekinesis. Maybe, all of the characters who were wiped out by the Decimation are now moved to another realm or alternate reality. And from there, maybe Janet is able to guide Ant-Man out of the Quantum Realm. Also, there can be an alternate version of Janet in the Quantum Realm. Maybe that version helped Scott to get out of the Quantum Realm. Another character, who is not a superhero though, can help Ant-Man escape the Quantum Realm. Well, that person is none other than Scott’s friend Luis. Well, it totally depends if he was able to survive after the Decimation. If he did survive, then he must be knowing the place where the Pyms and Scott have gone and may go to search for them after the events following the Decimation. After that, he may contact Scott through the microphone and Scott guide him through the mic to help Ant-Man escape the Quantum Realm. These are most of the most believable ways or answers to the question of How did Ant-Man Escape the Quantum Realm? Let’s cover the remaining answer to the question of How did Ant-Man Escape the Quantum Realm? Did Ant-Man Acquired New Powers? Like Janet van Dyne was changed while she was in the Quantum Realm, maybe Ant-Man also changed or acquired some new powers while he was in the Quantum Realm. Maybe it was due to those powers that helped Ant-Man escape the Quantum Realm. Maybe like Ghost’s body structure was altered due to the exposure to Quantum Energy, did Ant-Man also gained powers by his prolonged stay in the Quantum Realm? Will he gain powers in the Quantum Realm as Janet did? Will these powers be the key to defeat Thanos in Avengers End Game? Well, these questions will be answered in the movie itself. Maybe these questions get answered in the next Avengers End Game Trailer. Well, these were my guesses related to the question of How did Ant-Man Escape the Quantum Realm shown in the Avengers End Game Trailer. Do let us know your thoughts about this in the comment section down below.